Diwan’s original storefront in Zamalek on 26th of July St.
Diwan was the first Barnes-and-Noble style bookstore to open its doors in Egypt, if not the Middle East (please correct us here if there’s someone we’re overlooking). Diwan was founded by sisters Hind and Nadia Wassef, along with Nihal Shawky and Ziad Bahaa El Din. The group aspired to bring together western and eastern cultures and aesthetics and spread Arab culture via their boutique bookstore that also sells music and DVDs. 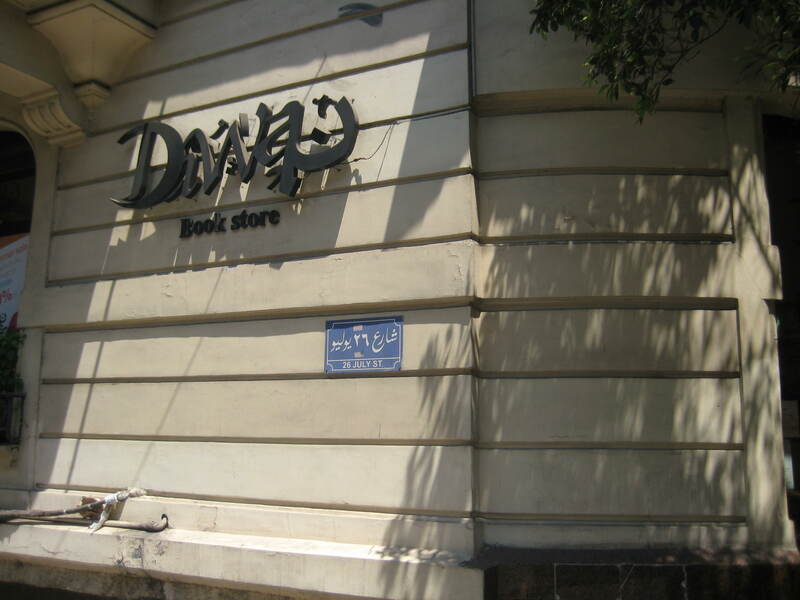 Since the flagship store in Zamalek opened in 2002, the Diwan chain has expanded rapidly and inspired the opening of numerous other bookstores throughout Cairo, as well. The Diwan brand now also includes two other offshoots: Qirtassiya, which features stationery products (the only one we know of is located just next to Diwan in Zamalek); and Diwan Kids. Founders Hind and Nadia Wassef have won much praise for their entrepreneurial spirit and success and have also attracted international attention. For example, as part of their efforts to expand their business, in 2009 the sisters took part in Endeavor Egypt, a global program that provides mentoring and sometimes on-the-ground support for select, rising entrepreneurs. While Diwan was almost instantly popular and clearly addressed a lack in the market, its success is also attributable to the financial investment at an early stage by the private equity firm Citadel Capital, which purchased a 40% stake in the company. Alongside its continual efforts to expand into new markets in Cairo and throughout Egypt, bringing its total number of branches to 13 — and with a new one to open soon in Sahel –, Diwan also teamed up with Souq.com (akin to eBay in the Middle East) to add a shopping cart to their website, thus making it easy for customers to make purchases from Diwan online using a credit card. If you’re used to larger, western bookstores, then the Diwan branches will feel familiar to you as soon as you walk into the door. The store is neatly organized and categorized by language, then subject/ genre, and finally by author. Multiple computer stations (at least in the Zamalek branch) assist customers in locating specific titles or authors, and employees are instantly identifiable. Stationery products as well as CDs and DVDs are displayed prominently, and a café serves an array of coffee and tea products, snacks, and sweets. Diwan provides both an online search engine on its website and helpful computer catalogs in the store (which also allow for some interesting research to be done, including how many copies of a given title Diwan has ever stocked, at which branch, etc. ); however, the staff at its branches is a bit lacking. Diwan employees turn over fairly frequently and are sales associates rather than the book aficionados you’ll find at the smaller, downtown bookstores who have, generally speaking, a deeper appreciation of the works they sell and a network of connections that spans the city. Diwan has been credited – and rightly so – with paving the way for many new bookstores to open and provides middle to upper class and foreign readers with a comfortable place to browse titles and collect books. 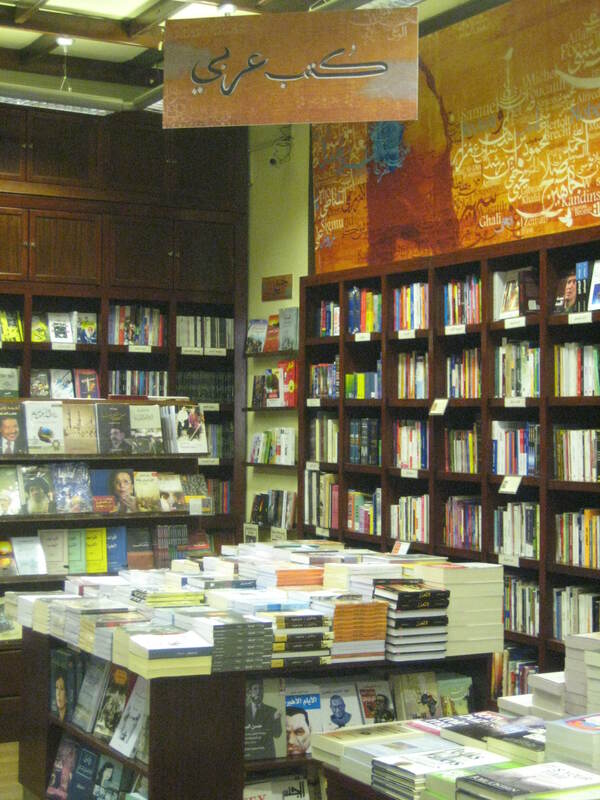 The large and up-to-date selection of English-language titles, as well as its comprehensive, English-language website, makes Diwan a popular bookstore among expats, visitors, and English-speaking customers in general. A loyalty card program and home delivery service also make this bookstore attractive to those who can afford the titles sold here. Diwan branches also host a number of events and cultural activities, including: book signings, often with big names and even sometimes international authors; release parties; cultural discussions; workshops; and events for children. Check out their website and Facebook page to see what’s coming up at your local Diwan. You can also sign up for their newsletter via Diwan’s website.